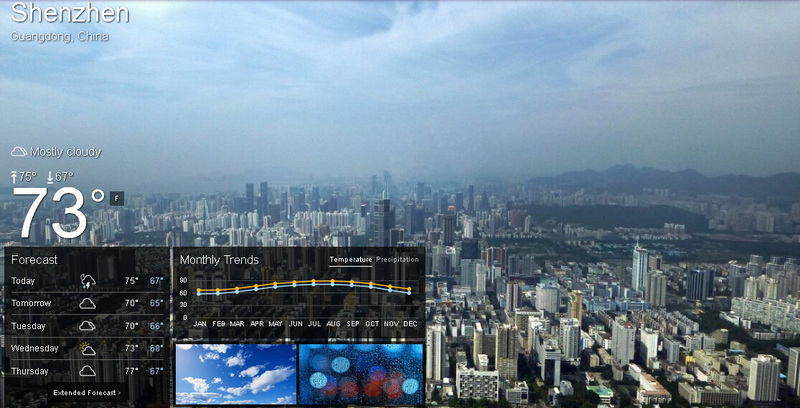 Find about Shenzhen weather. Get to know about weather conditions before you plan your business trip to Shenzhen. However, it should be noted that the city is located at the estuary of the Pearl River and is therefore an area susceptible to typhoons. Generally most typhoons occur from May to December with the strongest from July to September. Autumn there from November to early January is advised as the best time to visit. With an average temperature of 22C (72F) on average, Shenzhen has a long mild summer and short relatively warm winter, which makes the city a year-round travel destination. Additionally, the China Hi-Tech Fair is held there from the 12th to the 17th of October every year. It is always advisable to make reservations well in advance of your visit to the city as the area is particularly busy during this time. Spring in Shenzhen falls between February and April when the weather is usually variable –hot days turn into cooler nights. A cold wave may come even in late February. When the temperature drops, it is always accompanied by rain. After the low temperature and rains, heavy fog often appears along the seacoasts. Travelers should take long-sleeved T-shirts, thick jackets and an umbrella. Summer, the flood season for the city, is rather long from late April until the end of October. During this time, disastrous weather like rainstorms, thunderstorms and typhoons are common there. The high temperature is about 35C (95F), but you may feel extremely hot because of the high humidity. Skirts, dresses, and shorts are proper for thistime. Remember to take a raincoat as well. The best summer resort is Da Meisha and Xiao Meisha Scenic Area. Shenzhen weather in autumn from November to early January is dry and cool. The temperature won’t drop until December and it still remains around 20C (68F) Autumn droughts of varying degrees happens almost every year because of less rain and large evaporation. A long-sleeved T-shirt and a light overcoat are enough for this season. The city has an average winter time of 24 days per year, between middle January to early February. It is always as warm as the spring in northern China, with an average temperature of 10 C (50 F). The temperature may fall to around 3C (37F) when there is cold spell, but the cold won t last for long. Once there are three continuous sunny days, you will feel as hot as in summer. If you travel there at this time, you may just take a long-sleeved T-shirt and a thick jacket.